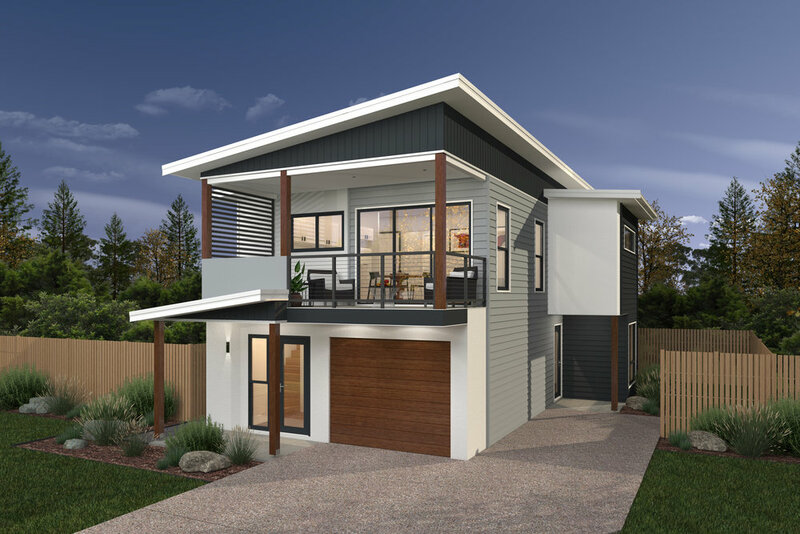 This concept was designed to benefit a range of individuals and families who don't suit a traditional house design. What is it? These designs have a 'Studio Suite' that includes a separate entrance, kitchenette & patio. Who is it for? This home will generally suit three purchaser types. 1: Those requiring an independent space for the teenager, grandparent or friend. 2. A buyer who would like to rent out the 'Studio Suite' to help pay the mortgage. 3. An investor who would like to potentially rent out both sections of the house to gain a strong rental return. 'Flaxton' H & L $349,800. - Upstairs 2 bedrooms, open plan kitchen and balcony. - Downstairs 'Studio Suite' with 'Walk in Wardrobe,' study desk, kitchenette & patio area. - Base Inclusions, landscaping and all site costs included. - Downstairs 3 bedrooms, 2 bathrooms, open plan kitchen & patio. - Upstairs 'Studio Suite' with 'Walk in Wardrobe,' balcony & kitchenette. - 3 bedrooms, 2 bathrooms, open plan kitchen and patio. - Separate 'Studio Suite' with car space in garage, kitchenette and own patio..
- 3 bedrooms, 2 bathrooms, open plan kitchen and alfresco. - Separate 'Granny Flt' with car space in garage, kitchenette and own balcony.